Apple today seeded the second beta of an upcoming iOS 11.2.5 update to developers, one week after seeding the first beta and a week after releasing iOS 11.2.1, an update that introduced a fix for a HomeKit vulnerability. It's not clear what new features, if any, will be included in the iOS 11.2.5 beta. We didn't discover any noticeable outward-facing changes in the first iOS 11.2.5 beta, so it's possible this update focuses mainly on bug fixes and security improvements. Should new features be found in the second iOS 11.2.5 beta, we'll update this post. Apple has also released new beta firmware for the HomePod, which will be available to employees currently testing the device. "It's not clear what new features, if any, will be included in the iOS 11.2.5 beta. 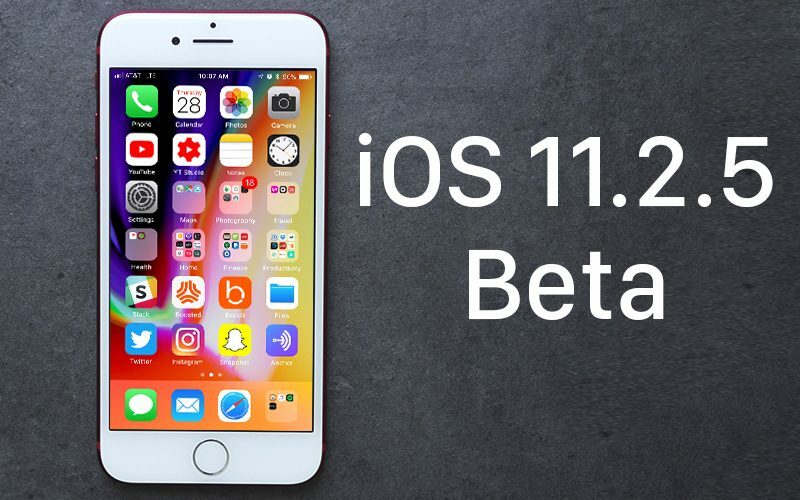 We didn't discover any noticeable outward-facing changes in the first iOS 11.2.5 beta, so it's possible this update focuses mainly on bug fixes and security improvements." There must be a valid reason- I'm uncertain as to what it is- why the public beta doesn't come out the same time as the developers beta. Anyone venture a guess? Just download and install the developer beta profile. It is widely available (google it). Usually in case something rather bad pops up for many, that way the impact would be limited to what are typically mostly (or should mostly be) developer devices rather than many more end-user devices. lol based on comment count in here, looks like people have enough and don't want to play lab rats anymore. The negative headlines lately was simply too much. IOS 12 or bust by 2018. I suspect that people are expecting Messages in the cloud when 11.3 is released. But the feature isn't ready to launch yet so they are toying with weird versioning skips in order to avoid delaying security and bug fixes.